Many Nikon D700 owners are probably wondering how the Nikon Df differs from their beloved cameras in terms of features and image quality. As we have said several times in different posts, the Nikon Df could be considered the D700 replacement, depending on one’s needs. While sports and wildlife photographers (or anyone else that relies on fast fps and high-end AF) will certainly disagree, portrait photographers have been longing for a camera with the D4 sensor for a while now. In this article, I will compare the new Nikon Df to the D700 not only in terms of specifications, but also in terms of image quality / ISO performance. Of most interest, our readers might find high ISO comparisons between the two, especially above ISO 800. There are a number of key differences between the two cameras. The first, and the most important, is the difference in sensor quality and resolution. The Nikon D700 has an old 12 MP sensor, while the Nikon Df has the same (or similar) 16 MP sensor of the Nikon D4 flagship DSLR. Hence, there is a difference in pixel-level quality and high-ISO performance, as seen in the ISO comparisons below. Next, the viewfinder coverage of the D700 is only 95%, which means that what you see through the viewfinder is smaller than what the camera captures – the Nikon Df does not have that problem and what you see is what you get. The Nikon D700 comes with a built-in flash that can be used as a commander, while the Nikon Df does not have any (similar to flagship DSLRs like D4). The max flash sync speed on the D700 is also better – 1/250 versus 1/200 on the Df. The Nikon D700 writes images to a single Compact Flash card, while the Nikon Df only has a single SD card slot. The base FPS speed of the Df is a little faster, but the D700 can be used with the MB-D10 battery grip + bigger battery to reach 8 FPS. The max shutter speed on the Df is limited to 1/4000, while the D700 is at 1/8000. The base ISO of the D700 is 200, so technically one could argue that the Df is not at a huge disadvantage here, since its base ISO is a full stop slower at 100. However, in situations where extremely fast shutter speeds are needed, the Df is still at a disadvantage. The native ISO between the two cameras is also very different – the Df has an ISO range of 100-12800, while the Nikon D700 can only go from ISO 200-6400. On top of that, the Df can reach an insanely high ISO of 204,800, while the D700 is capped at 25,600. There is a clear difference in the autofocus system, with advantages and disadvantages on both. The Nikon D700 technically has a superior AF system with 51 AF points, however, it is limited to f/5.6 when using lenses with teleconverters. The Nikon Df, on the other hand, has a lower number of AF points – 39, but can go as small as f/8 with teleconverters. Another advantage of the D700 is a slightly better frame coverage of the viewfinder. The Nikon Df has a larger LCD screen, but the resolution of the screen is the same as on the D700. The Nikon Df has more in-camera features like HDR and advanced image editing when compared to the D700. It also supports Eye-Fi and WU-1b accessories for Wi-Fi functionality, while the D700 has no such support. The two cameras have completely different batteries and charges and although the Nikon Df has a smaller battery, it can shoot more images – up to 1400 compared to 1000 on the D700. The body build of the Nikon Df is inferior – it only has top and bottom magnesium alloy plates, while the D700 has a full magnesium alloy body. On one hand, it is a disadvantage, on another, it would have added to the weight of the camera. Speaking of weight, the Nikon Df has a clear advantage over the D700 – it is almost 300 grams lighter! Lastly, the Nikon Df is the first modern DSLR that will allow mounting of old, pre-AI lenses. Don’t try to do this on the D700 or any other Nikon DSLR, as it could seriously damage the camera! As you can see, there are many differences between the two cameras and pros and cons on each side. Let’s now take a look at image quality differences between the two cameras. Please note that the images below are comparisons between the Nikon D4 and the D700. 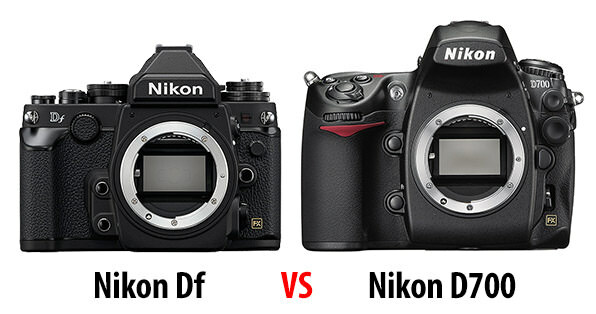 Since the Nikon Df has a similar sensor as the D4, these comparisons between the two are valid. Also, the below are 100% crops, without any down-sampling applied. If the Nikon D4/Df is down-sampled to the same 12 MP resolution, the files will look even cleaner. When comparing sensor performance, I will be providing pixel-level comparisons to illustrate differences between the Nikon Df and other cameras, without changing the angle of view or perspective. If you would like to compare these images at equal print size level, you can easily down-sample images to the same size in Photoshop / Lightroom and look at the differences (I have already done that for the most part in my reviews of Nikon DSLR cameras). Both are very clean, with no visible differences in image quality. The same at ISO 200. And again very similar performance at ISO 400. Even at ISO 800, the D700 performs extremely well, being such an old camera. As expected, both cameras have excellent image quality at pixel level. Let’s see what the differences are at higher ISOs. At ISO 1600, the Nikon D700 shows a little more noise. This is especially noticeable in the shadows. When ISO is increased to 3200, the gap in performance gets even wider. The Nikon D700 has much more noise and the shadows are already getting plenty of artifacts. At ISO 6400, the differences are pretty obvious – the D700 simply cannot keep up. Shadow details are lost and there is a visible loss of color as well. At this point, there is already over a stop of difference between the two. The Nikon D4/Df looks incredibly clean even at ISO 12800 with plenty of details, while the D700 has already reached a point where I consider the image quality unacceptable for my taste. And things get much worse for the D700 at 25600. The image is too noisy, lost too many colors and details. In comparison, the D4/Df is much cleaner, although it also lost some shadow details. Interestingly, ISO 102,400 on the Nikon D4/Df looks a tad worse than ISO 25,600 on the D700, so there are almost two stops of difference at high ISOs between the two. And that’s without down-sampling images to the same resolution. If I were to resize the 16 MP Nikon Df images to 12 MP, it would look even better! So for those that own the Nikon D700, although the performance between the two cameras is similar at low ISOs, there is a clear advantage in high ISO performance starting from ISO 1600. This makes the Nikon Df a more suitable tool for low-light photography. Next up: Nikon Df vs D610. I think a better comparison would be the DF and the D800 as they are the same price, and both current models. Why would anyone choose the DF when you can get the D800 with so many more features and a 36 MP sensor, with HD video, built in flash, dual card slots, etc, etc, etc….. There is no comparison and they are the same price. Mark, a comparison between the Df and the D800 is coming up! For those absorbed in technical spec, I agree with you. However, in all due respect doing so completely misses the significance of this new body. Thanks for this comparison. I won’t be selling my gripped D700 to purchase, but it might be a viable option when I have to upgrade. I will miss the af coverage of the D700 but the ISO comparisons are rather compelling. Thanks for the quick comparison. As most of the internet forum traffic I’ve seen has either been from people who hate it because it doesn’t have a split image screen for manual focusing (why that is, I’m not sure — I jettisoned my split image screens for Beattie intenscreens back in the day) or people seeking a direct D700 successor (ie the D800 with the D4 chip transplanted inside). I actually will be selling me gripped D700 to offset the purchase of this camera (leaving me with a D3S and the DF). If this camera had been released last year, I wouldn’t have purchased the D3S, which I bought used). The only downside I see is the lack of a vertical grip, meaning I’ll go back to my old hand-holding days for verticals with this camera. Nasim, even though it has the D4 sensor, don’t you think it will be even better? Probably the firmware team has done some additional tweaking over the last two years. Of course such bettering may result in a firmware update to keep D4-users happy. thank you for all the work you and Romanas put into these comparisons. As a D600 owner (currently with Nikon to have the shutter switched—I am sure you can imagine why) I don’t find the DF that compelling. you continue to amaze me with your detailed reviews and information. you are so talented and so kind to share everything with all of us. i perk up when i see a review of anything from you! i loved my d700 soo much and wish i had purchased another one. it’s the perfect camera for me and we have good energy together. i favor it over the d800 all the time. but the shutter is going and i know it. wondering if YOU would purchase this camera to use professionally? again–thanks for all you do. You can still buy a D700 today. Lots on Fred Miranda. I would get the D610 instead. 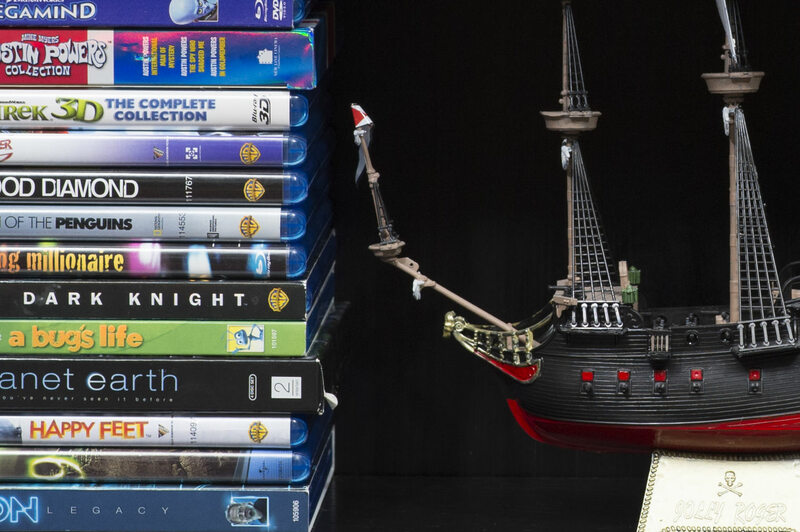 More pixels (24), great low light performance, HD video, included flash, and aside from those, nearly all the other important features are included in both. All for $700 less! The Df is a great looking camera, but that price tag for someone who’s looking at balancing features and cost does not justify it in my opinion. I own the D700. I’m not a pro, but I’m currently setting up dedicated studio at home at present time. The Df intrigues me because of its sensor primarily, yes I do like the retro switchgear also. Reminds me of my close to 30 year old FE2 I still own. I was thinking about buying a D800 in 2014 and now I will have to consider the Df too. 16MP D4 sensor is my preference but will wait for the reviews and comments. Hopefully a grip will be available for the Df in due time. I like that the DF looks like an old fashioned film camera. It would be nice if the view finder could slide off and you could look down into the prism like that other old Nikon could do. I had a photo taken my a news photographer of my friends and I on a story about our charity group and he put the camera on the ground looking up at us and removing the viewfinder to look down at us to align the shot. First of all thank you for your great coverage on the new Nikon Df camera. The comparison articles between the different cameras and the Df are extremely helpful in deciding if this camera will meet my needs. The one thing everyone is going to agree to about the Df is that it will stir up a lot of heated arguments and make the Photography forums very interesting to read for a while. Some people are absolutely going to fall in love with it and others not so much. Right now I am kind of in the middle, I do not hate it but I am not going to put this purchase on my bucket list yet and here is the reason. The real strength of this camera is its sensor and that’s what you are paying for. If you shoot above 1600 ISO a lot (not action) then this camera is definitely worth the price you are paying for it. If you do not then things change quite considerably. Now what you are paying for is essentially a D610 in a retro body (IMHO). So what is the retro design going to get me, for one a different layout of controls that I am going to have to get used to every time I switch between my D700/D800 and the Df. If the retrodesign is so good why are all modern day Nikons not designed with retro controls? My take on this is that the retro controls were designed for film when all we had to worry about was shutter speed and aperture. ISO and white balance was fixed every time a new film canister was loaded. Digital photography is whole new ball game with the need for the controls to be laid out in a different manner, now we can change WB and ISO on the fly, we have picture controls, we can shoot raw or jpeg, etc. So why go back to controls that are antiquated and designed for film? When I get paid for shooting film I break out my F6 not my FA. The FA does not match my shooting style anymore and does make me slow down a lot. If that’s what you want to do and this is your style of shooting then this may be your camera. At this time I do not see this camera improving my photography. I rarely shoot above 1600 ISO and cannot see this camera giving me anything my D700 could not other than great noise control at high ISO. When I buy a piece of gear it gets paid for by selling my work, $2800 is lot of money to spend for just having a camera just to fool around with (that’s why I still have my FA), I would rather spend that money on a new 300mm F4 with VR (I hope Nikon reads these posts) or a new 200-400 F4. Even if I really wanted a great retro camera; the one thing that I really would want is the ability to change out the focus screen. Nikon made this camera compatible with about every manual focus lens it has ever made but does not give you option of using an old style focusing screen. For me the way to use a manual focus lens is with a focusing screen designed for a manual focus lens, if I am going use a little green light I might as well stick with autofocus. But I am going to rent this camera when it is available (already made a reservation at my local rental shop) and make my decision then. There are a lot of uncertainties like how well the autofocus works in low light, it does not do much good to have great low light sensor and the camera will not accurately focus in low light. What does the viewfinder look like, can I change ISO or WB and not take my eye from the viewfinder or do I have to look at a LCD or a dial. Are the controls so cumbersome that it would impede my photography; the first thing I noticed is that exposure compensation is now on the other side of the camera. So for now I am going to stick with my trusty D700/D800 until I get the camera in my hands. I am so lust about the retro camera, always have special feeling while holding rangefinder camera with metal body and chrome finish, therefore longing for the digital nikon fm3a or f2n vesion for a while . Same so reason to buy fujifilm x-e1 mostly because i liked the ” look” of the camera that drive me to bring it as daily camera , instead of my nikon d700. Let talk about the look, and the feel, and style of Df: the front looks retro appeal , and so does the top view. By looking at it mostly at the front, you like it, but when you USE it, most of the time looking at the back, which is no different from the current dsrl. And about the feel, while the top and front make you think like the camera of solid rangefinder with chrome body , but actually the new camera use magnesium body, i doubt if the feeling still the same when you hold it. So does it feel more like old or new camera when you use to take photo or feel like new d610, not just looking at the camera from front or the top ? Apart from the body style, there no inovation or new in the camera. all the technology is there, Df is the mix up of anything that current available in dsrl d610/d4, not mentioning the downgrade of 5-6 year old 51 af system that at the price, df should have in order to be compared to d800 or consider the upgrade of d700. Every dsrl have it “own” character, d600/610 with 24mp, 39 af, and d800 with 36mp, but which is the “own” character of Df ? Of course not the feel,so only by the look? Or the capabilty of using the old nikon lens? Set aside the generation of 50s of 20 century, how many percent of us still have and would like to use the old lenses ? how are the quality of old AI or non-AI lenses compare to the new, nano coating G lenses? As the fan of nikon camera, I really worry about the innovation and direction that nikon going to, with all the very competent product of other camera makers, expecially the mirrorless system is being mature, could nikon can survive only by selling their fans the camera that only redesign by the look , no evolution/revolution at the premium price? Does this mean that there could be a rush for the old AI lenses that are so cheap at the moment and subsequently Nikon going premium on those too since these old lenses are still brilliant? Peter, I think so – depends on how popular this camera gets! Well looks like the AI Lenses will be reborn for sure with this new launch and Nikon could make it all winners if the DF works out as a winner itself. Better to grab when they are cheaper as the DF will look smart with the AI Lenses for sure. I have a D700. I realize neither the Df or D700 is optimal for wildlife photography but which of would be better in terms of autofocus? i’m used D600 and D700 together. To my opinion, af of D600 in normal light comparable with d700(central point). Side point’s – lot worse. 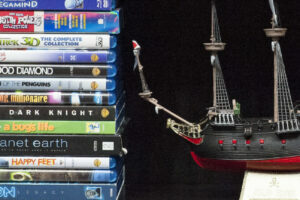 In low light, I think d700 – cleaner winner. (in specifikation of Nikon D600 specified -1EV, but my friends Canon 6D (-3EV) focusing like D600). Another bad point of multicam4800 for mi – weak screwdrivе to comparsions with D700,D3, D800…..
Why all Df photos exif’s showing D4 in camera model field? Did you bother reading the text in the above article? exif of DF pictures showing as D4 . are these samples from D4? Did you bother reading the text above? I had no problem to read it. the page was open in my Ipad for few hours and as you see the time difference between my comment and previous one is 2 hours. I’ll be careful next time. you should change the title to nikon D4 Vs D700 . Elend, if the sensor on the Df is identical to D4, why does it matter? Nothing is changed between the two models, so it is a fair comparison. Plus, I clearly stated in the article that the noise comparisons are between the D4 and the D700. there is no problem comparing d4 with d700 but the title is not right and why dont u mention it in title? its ur site and u like to bring visitors this way , but to me as a visitor of ur site -it is not trustful anymore. I would buy a DF tomorrow if it had video. appreciate the whole retro thing, I have an Xe1 and an order a xe2. I think it was a huge mistake as adding video adds very little to the cost. For now Ill have to live with the patina of my oil laden D600. Steve, apparently, the Df was 4 years in the making. They probably did not plan on video from the start. However, I agree, it would cost nothing for Nikon to add that…live view is already there. Nasim, it’s more than a year now since you recommended I buy my D700; and despite all the new model releases from Nikon I am still totally in love with my camera and have no desire whatsoever to replace it. It gives me wonderful pictures. Finally, your website & posts are the best I know for intelligent & informative advice on the advances in digital photography. Sincere thanks to you & to Romanas. Guys thank you very much for the great reviews (DF/800 and DF/610). Currently I own the D4/D3/D300 and I definitely like the DF no only because of its retro look but because of the sensors performance as well. It is clear to me while a niche product, there are going to be a lot of people buying it for a lot of reasons especially for old but excellent AI lenses. If I were Nikon, probably I would have been concentrating on a camera like the 5Dmk3. That one would have undoubtedly been a major player in their lineup and why not a big hit. What would happen if Nikon released a new D X00 that was identical to the D700 (even with the exact same old “see in the dark Superman vision” sensor for argument’s sake) but added video, U1, U2, U3, U4, Wifi, GPS, NFC, Expeed III, fold out screen, dual cards? IT WOULD BE A RUN AWAY SALES HIT! These would be flying off the shelves. Now upgrade the sensor to 24 Mp and Canon would be destroyed! Go figure. The answer to Nikon’s financial survival!!! In trying to protect Nikon’s product line, they have only helped to protect Canon’s product line. :'( What other fuctionalities did I forget to mention? No 36 Mp please. Hello Nasim, while I’d love to get my hands on the D4 sensor, there are just so many great things about the proven D700 that I’m taking your original advice to keep shooting with this landmark camera until it breaks ! However lens storage is an issue for me. As I made the transition from film to digital I kept, and added to, my range of lenses. I had been trained to believe that moisture-absorbing crystals were essential to avoid fungus infection, so I followed this path in all my camera & lens cases. It was not enough however, and over the years I’ve had to send a number of lenses away to be cleaned & I’m not at all sure the process removes all the fungal spores ? Now I’m using a glass fronted dry cabinet for lens storage & storing lenses with caps removed. You might like to comment to your readers on this issue, particularly those like me who live & work in moist tropical & sub-tropical environments, and treasure their lenses almost as much as their children! The majority of people bashing this camera are ones that have been weaned on digital, and need auto everything, including, a built in flash and movie mode. ( Built in flash is good for 8 ft, if that. Then you even have flash fall off to contend with. However, these intellects wouldn’t know that ) Why, I will never know. These are the same intellects that KNOW very little about photography and, there is no sense in arguing with them. The df is not for everyone, and has its flaws, just like every other camera and lens. This camera will appeal to a select few. The ones that enjoy the art of photography, ( True photographers and not wannabees ) and don’t photo -shop a picture to death, and then think they are pros. This a photographer does not make. These people think everything can be done on the computer. After lusting for a Nikon DF for nearly 10 months, I finally took the plunge on September 27, 2014. I couldn’t decide whether to go for a silver or black body at the shop but for some reason ended up with the black considering the visibility of the white markings on the dials in low light. My heart really wanted to go for silver! The silver did look a bit painted on in real life. I was also tempted for a D750 – however, that is another story. I have used a D700 for 5 years, I can say that pictures certainly have more pop in the Nikon DF vs. the D700. The high ISO shots certainly look better in low light. However, I am disappointed by the DF’s focusing ability in poor light ( room lit with a 25 watt bedside lamp the Df will not focus in dark areas of the room) – it just can’t focus. Day 2, while I was playing with the camera the battery door fell off. The door is certainly very flimsy for a “Made in Japan” product. I need to tape it otherwise it will be lost. Other than these two initial disappointments – It feels nice to old the camera in the hands, it’s not as slow as one would imagine it to be if you have thought of the shot and aperture before the shot. It is certainly not for sports and action. I have yet to try the focusing on my five year old though.